With Laurent Blanc’s French champions Bordeaux back on top of the Ligue Un standings, it’s a brave person in my view who would back them to be displaced again before the end of the current campaign. I believe “ Les Girondins” have had their “blip” and will have learned from those two back-to-back losses late last month. 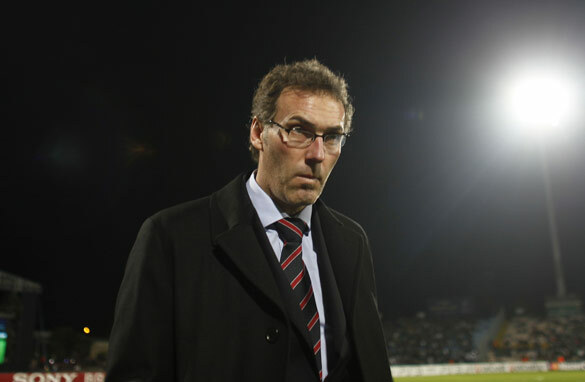 Laurent Blanc is a coach on the rise. Their recent three–nil win on the road at Nancy oozed class and was achieved without the considerable talents of Yoann Gourcuff, who missed out due to a groin injury. It may not be a powerhouse squad compared with some of Europe’s big guns but there is strength in depth now compared to a couple of seasons back and for me the club’s true stand-out asset is none other than the head coach himself who’s orchestrated some fine performances in this season’s champions league campaign. Just ask Bayern Munich and Juventus both of whom finished below Bordeaux in qualifying with the Italians failing to advance. I recall meeting Blanc and chatting briefly with him during the Fifa World Cup of 2006 in Germany. Like all students of the game, he was almost certainly there to learn. Not just more about the game he graced for so long as a player but also perhaps to gather more insight into what it takes to fulfill his next career goal. I wondered at the time where would we see him next. Just what were his immediate plans? Certainly back then he was giving little away. At least not to me! Prior to '06, I also recall sitting amongst some Manchester united fans who were lees than complimentary about the Frenchman during his brief spell as a defender at Old Trafford. Just to recap, United coach Alex Ferguson had brought Blanc to United to have the then former French International shore up his defence while at the same time giving his younger squad players the chance to benefit from playing with such an experienced campaigner. Blanc weighed in with a few key goals too in his time at United but maybe after all it was he was embarking on a hugely significant learning curve too. I’m quite certain Laurent’s long term goal has been to become a top coach and who better to learn from than Alex Ferguson himself? Blanc must have picked up some top tips during his time in England under Fergie and I feel he’s putting them into use right now at Bordeaux. Already he’s being heavily linked with the French national team once Raymond Domenech’s reign comes to an end and I feel utterly certain than when and if Blanc makes it known he’s ready for a new challenge away from Ligue Un….. there will be one big stampede to sign him up!